A land famous for its easy going culture and party atmosphere, Las Vegas is aptly said to be The Entertainment Capital of the World. A top tourist spot of the world, Vegas welcomes its visitors with the most amazing shows and recreational events. The city is one of the leading destinations for casinos, fine dining, gaming, live entertainment and night life that speaks of its vibrant and cool vibe. With a number of events lined up this season; Vegas invites you to have a perfect time out with your beloveds. Las Vegas Shows tickets promise nothing but absolute fun for party-lovers. Incorporated in 1911, the city has made a remarkable progress in all walks of life within a century. It contributes to the economy and culture of the country with a broad array of vocational opportunities. The Las Vegas Strip, which is outside the city limits, is the focal point of entertainment and night life. Its grand casinos, beautiful show venues and amazing hotels add to the grandeur of the city and attract hordes of visitors. The Downtown, also called the Nevada Gaming Area, is famous for its casinos. Prominent casinos of the area include The Golden Gate Hotel and Casino, The Golden Nugget, Las Vegas Club and The Plaza & Casino. The history and culture of the city is preserved and cherished in the museums that are one of the major attractions of the town. Las Vegas Natural History Museum, Old Las Vegas Mormon State Historic Park and the Smith Center for the Performing Arts serve as one of the most important cultural and historical landmarks of the city. An ideal location for the most exquisite resorts and relaxing venues, Vegas offers its visitors premium services when it comes to having a quality time. The city is also a great stop for those who love live fun, concerts and theatrical shows. Throughout the year, a variety of musicals are staged at different venues of the city. Due to its international prominence, renowned musicians, comedians, and other performers headline their shows to the city. Such continuously running shows and events make the city the hottest destination for live entertainment and fun. Superstars like Lady Gaga, Celine Dion, Rihanna, Lee Brice, Carrie Underwood and many more always take a round to the city while they are on the tour. Some of the most happening shows include Cirque du Soleil, Jersey Boys, Rock of Ages, Sin City Comedy Show and many more. Those who are into live orchestra and classical music can easily find various orchestra houses within the city. With such diversity and range of facilities, Vegas counts among the key fun spots of the world. The feel of festivity, warmth and ecstatic entertainment is what this beautiful city is known for. 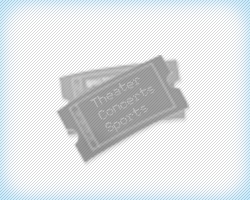 The city has multiple sports, music and theatrical events coming up for you to enjoy. All of these events highlight the rich and diversified front of the city that embraces all the fun-lovers with an open heart. So next time you take a trip to Vegas, step up and live your dreams!